In the sentence “She’s no longer suffering,” to what, to whom does “she” refer? What does that present tense mean? The artist is the one who liberates a life, a powerful life, a life that’s more than personal, it’s more than his/her life. Tell me, why are you filming me like that? Because I want to show that there is no distance in the world. 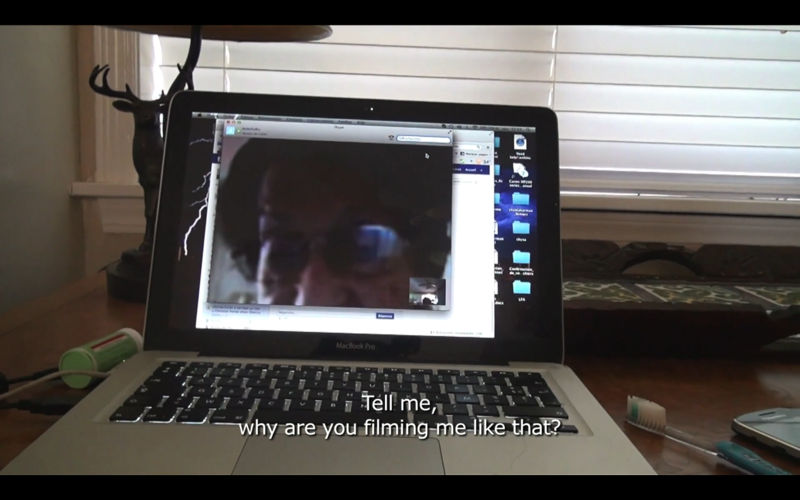 It never occurred to us that when we watched it [No Home Movie, 2015] for the first time, not only would we be mourning the death of Akerman’s mother, but mourning the death of the filmmaker herself – which feels almost like the death of cinema. You can read into this film whatever you like. An image of a tree moving violently in the desert wind, its branches always springing back, is an image of survival, yet there are no survivors here. During the opening shot of Chantal Akerman’s No Home Movie, a handheld camera lingers on a desert for approximately four minutes, the camera’s near stillness at odds with the force of the wind against the branches in the immediate foreground, screen left. Evidence of human life exists in the passage of three vehicles nearly indiscernible in extreme long shot through the windblown dusty frame. 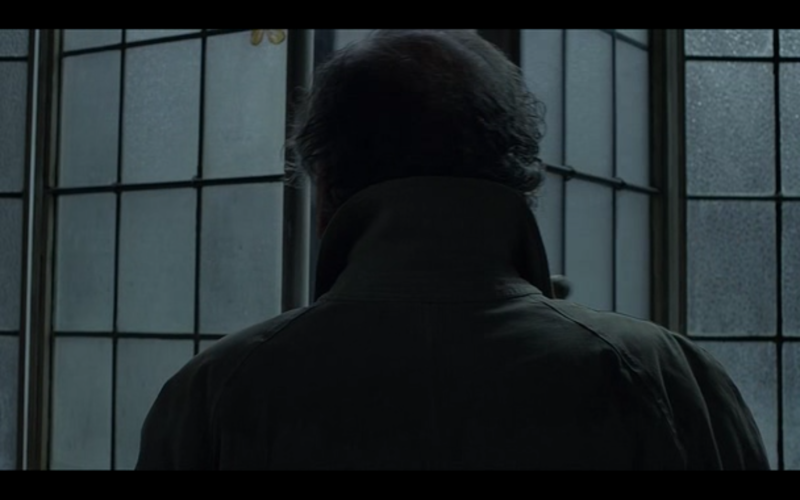 Cut to Michael Haneke’s Amour (2012): a fire brigade storms a bolted door. “Is anyone home?”, demands one of the men. Cut finally to Philip Hoffman’s What These Ashes Wanted (2001): “What these ashes wanted, I felt sure, was not containment but participation. 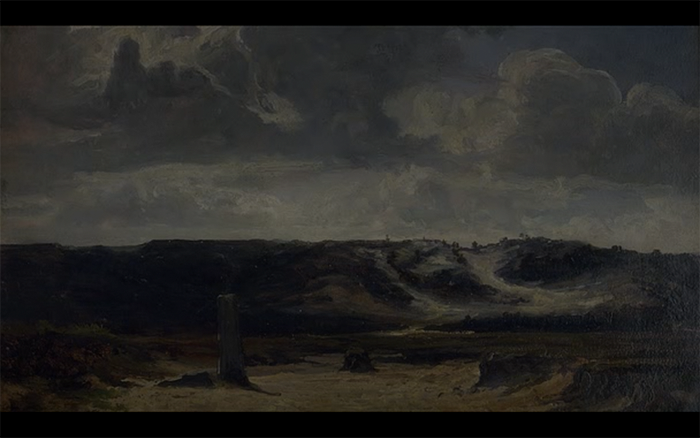 Not an enclosure of memory, but the world – Mark Doty”, reads the opening shot, white text on black. 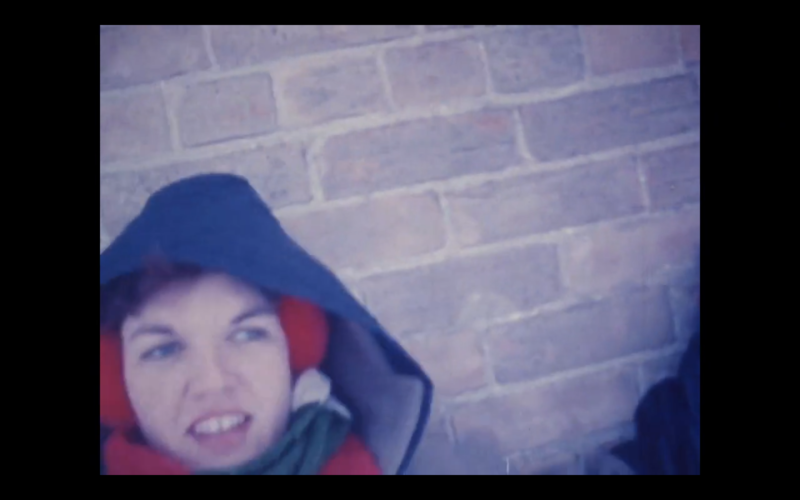 At six minutes and five seconds into No Home Movie, the film cuts from a handheld high angle shot of a backyard to a close-up shot from behind Natalia Akerman, the filmmaker’s mother. Natalia pushes a door screen left and enters the living space. A camera/Chantal follows Natalia before stopping at the doorway. While the camera records this modest entry into an apartment’s open space, the relation between subject/mother and camera/daughter reveals both the comfort of a family home and a hesitant urgency to fully witness, capture and hold dear. The camera’s sway in Akerman’s hands suggests at once a materiality of experience (as in the home movie footage of What These Ashes Wanted) and the delicate ephemerality of an always already lost present. 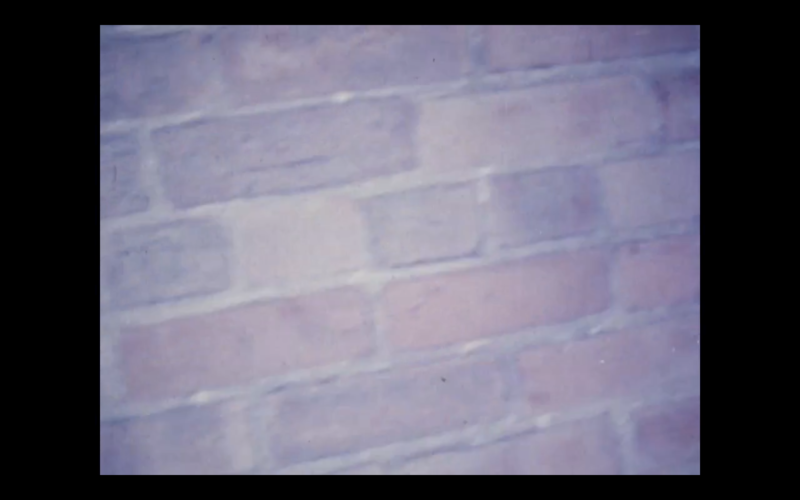 Such felt proximity to transient subject, space and time in these early moments of Akerman’s final film, with its Akerman-esque rhythm of extended long take and sudden break, enacts a flow between intimate ‘real life’ duration and the insistent minimalism of an artist devoted throughout her career to an ethics of a “very frontal gaze”, as Adrian Martin and Cristina Álvarez López suggest. 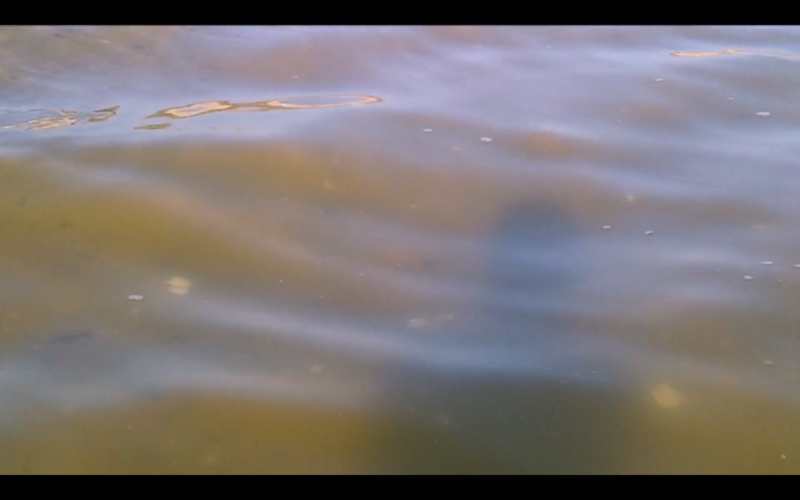 The seeming formalist/realist juxtaposition of No Home Movie intensifies through an alternation between fluid movement, as with the searching camera of Amour’s first suspenseful moments and the opening frolicking-in-the-snow movements of What These Ashes Wanted, and painful stasis, as in the minimalist tableaux and stills of domesticity and illness that feature in Akerman’s, Haneke’s and Hoffman’s films, respectively. Amour’s first jolting audiovisual moment, the dismantling of the bolted entrance to Anne (Emmanuelle Riva) and Georges’ (Jean-Louis Trintignant) Parisian apartment, foregrounds the film’s liminal confrontations at thresholds between breath and suffocation, liberty and immobility, life and death. Within a space of seemingly stopped time, Amour accentuates acts of perception and self-perception through multiple boundaries and limits, frames and windows, stutterings and stammerings, gazes and glimpses of paintings, mirrors and a pervasiveness of water. “The door is open”. On these words, a detective hastens through the apartment. 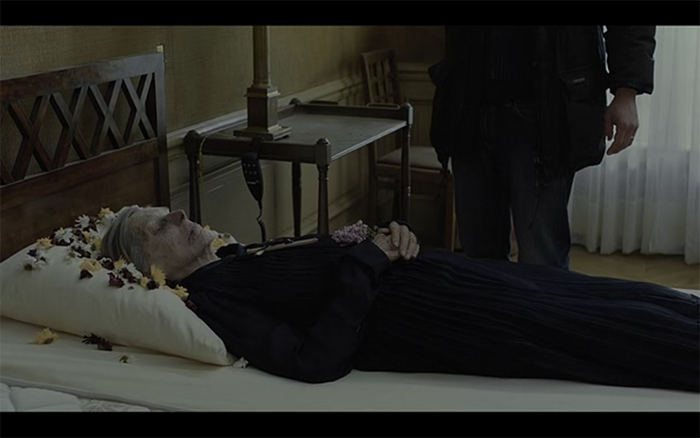 The camera follows to the opening and then interior of Anne and Georges’ bedroom where Anne’s corpse lies peacefully as the camera rests in medium-long view of the body. Yellow, white and purple petals about her head adorn her pillow and face; her hands clasp a small bouquet. Cut to white text on black: “AMOUR”. [P]ain comes unsharably into our midst as at once that which cannot be denied and that which cannot be confirmed. [T]his tidal swell of everything and anything, in bits, in fragments, this method that each seeks to invent and employ to contain their memories and fantasies, this dialectic of memory and imagination, is not arbitrary. “Whichever way we turn, it seems hard to capture the features of a subject that is searching for itself” writes Raymond Bellour with regard to cinematic self-portraits and ongoing “talk of subjective cinema and of autobiography”. As Bellour observes, autobiography in fact disappears by way of alternative words, “self-portraits, portraits of friends and family; letters, travel diaries, private news; diaries; confessions; childhood memories; filmmakers’ journals”. What are left are instances of filmic (self-)portraiture that pierce and affront; they are flashes of a lifetime linked through the “precariousness of a subject”, to borrow a phrase of Bellour’s  . Through a subject’s shadows and the frailty of its imaging, frail inasmuch as these images resist implications of a self’s constitution to be fully seen and known just as one’s all-too-human pain eclipses straightforward and literal representation, we glimpse not fixed truths but ceaseless questionings, waves, foldings and layerings of time, memory and affective absences that forever linger. 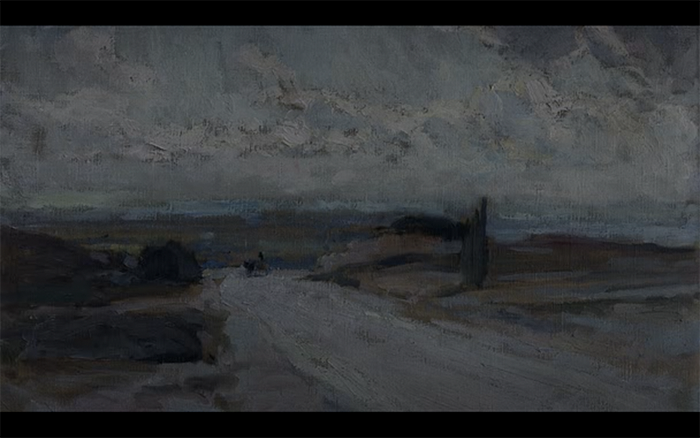 Unflinching gazes at pain and loss in No Home Movie, Amour and What These Ashes Wanted materialise through landscapes, paintings, photographs, doorways, silences and stillnesses in homes once active and now desolate. While these gazes may seem cold or distant, these images endlessly transition between the embodiment of a most personal, human gaze subjected to pain and an impersonal overarching perception that exceeds the confines of the deserted homes. Here, truths pertain not to authenticity or lifelong complete personal narratives but self-realisations in moments no more profound than one’s encounter with death. Insofar as the films’ evocations of pain, memory and quests for self and truth speak to circuits between personal-impersonal, intimate-universal, present and past-future as well as to viewer-character-film, they reveal the cinematic potential to directly present time’s perpetual duration. By so doing, their self-portraits expose ourselves to ourselves. Following the opening shot of Doty’s white text on black, the first moving images of What These Ashes Wanted recall the first moments of Alan Schneider and Samuel Beckett’s Film (1965), the latter film given firstly to the problem of being perceived by human or nonhuman alike. “The character can limit the danger”, as writes Deleuze on Film, “by walking along a wall; in this way, he leaves only one side unprotected. 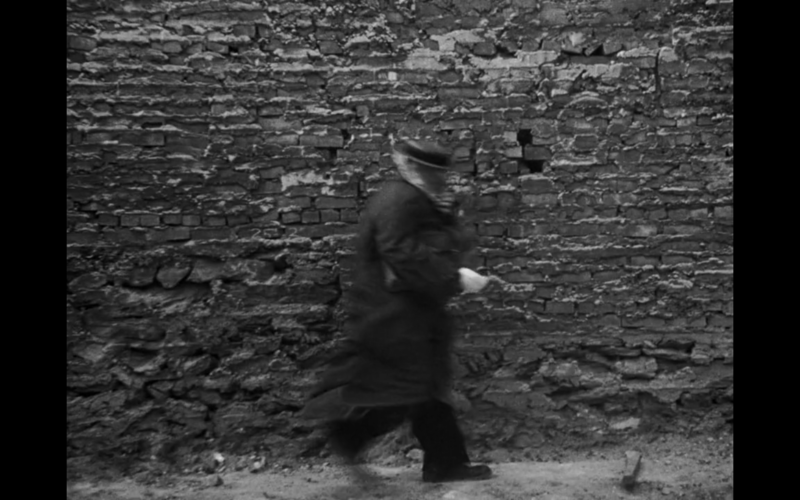 To make a character walk along a wall is the first cinematographic act (all the great filmmakers have attempted it)”. Indeed, so too has Hoffman. 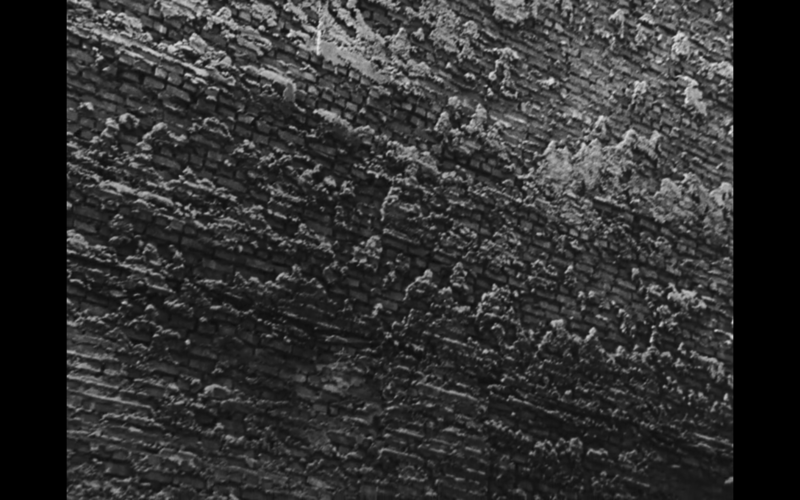 Both Film and What These Ashes Wanted commence with canted framings and seconds of dizzying speed that seek the subjects of the camera’s perception against brick walls, their tactile textures made more haptic by the swift movements and nearness of pursuing camera and pursued subject – veiled or hooded, Buster Keaton or Marian McMahon respectively – alongside the hard surfaces. With “all perception as such being the perception of perception”, as Deleuze reminds, insofar as we do not perceive without being perceived, from its outset What These Ashes Wanted makes clear its own act of seeing and, moreover, its perception of itself. 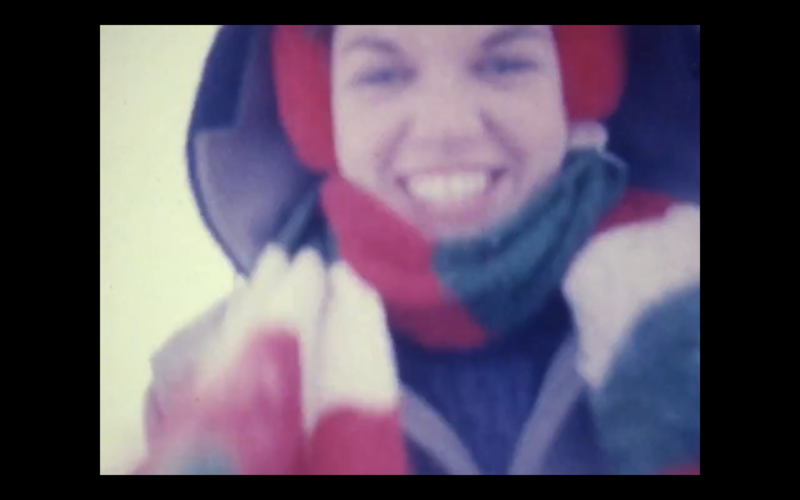 While Hoffman’s persistent, handheld camera incessantly interrogates Marian in sequences throughout the film, increasingly the camera’s gaze opens outwards towards filmmaker (himself), camera and viewer. A doubling process or folding occurs that comprises both the externalisation of a self’s becoming-other beyond itself – through its intensifying perception of a greater immeasurability or immensity of time and life as voiced by Marian and also observed by Hoffman – and an internalisation that enfolds such perception into a larger collective universal memory and possible future. “This, then, is what was so terrifying: that perception was the perception of the self by itself”, continues Deleuze. “If you could have a ritual for death what would it be, and would it be private or shared?” Marian asks Philip. “I think it would be shared”, he replies. Through the act of living with and sharing Marian’s death, Hoffman seems to engage in a simultaneous act of self-reconstruction and dissolution. 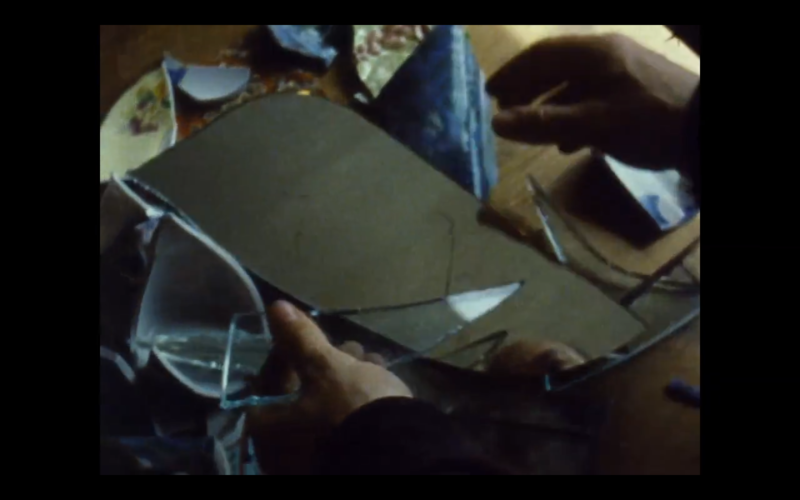 After Marian’s death he is urged to heal swiftly, as suggested by rapidly cut images following the title screen of Hoffman’s hands as he sorts through pieces of broken pottery. Marian: It’s really hard for me to do this. I feel like I have to entertain you. That’s not what I really mean to say. […] I feel like I’m not really talking about things that I’d want to talk about, things that I’d want to talk about with you. Philip: Yeah, because you are talking to the camera. Marian: Yeah. […] Maybe, we should have somebody filming us. Someone filming you filming me. In speeds therefore of conjoined mobility and immobility that link every future breath with every former sigh, What These Ashes Wanted achieves an undoing of assured subjectivity, of both Marian’s and the filmmaker’s own. In close and extreme close-ups, Hoffman’s hands tend the broken pieces while the film cuts, on the sound of an answering machine’s tone, to slowed ‘home movie’ footage of Marian walking past columns in front of an Egyptian monument. 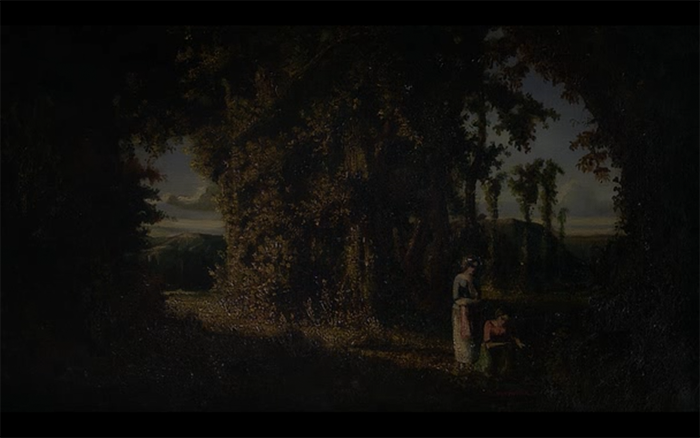 These are the first moments of audio, heard against Marian’s seemingly majestic stride by its slowness and the image’s studium, its grandeur in sepia tones. The audio, a man’s voice heard quoting from a book, describes an ancient broken cup too precious to discard so “it was repaired not with glue but with a seam of gold solder. And I think our poems are often like that gold solder, repairing the break in what can never be restored perfectly. The gold repair adds a kind of beauty to the cup, making visible part of its history”. Inasmuch as What These Ashes Wanted documents Hoffman’s reclamation of self and memory fragments through the making of the film, the temporal past-future divide persists. 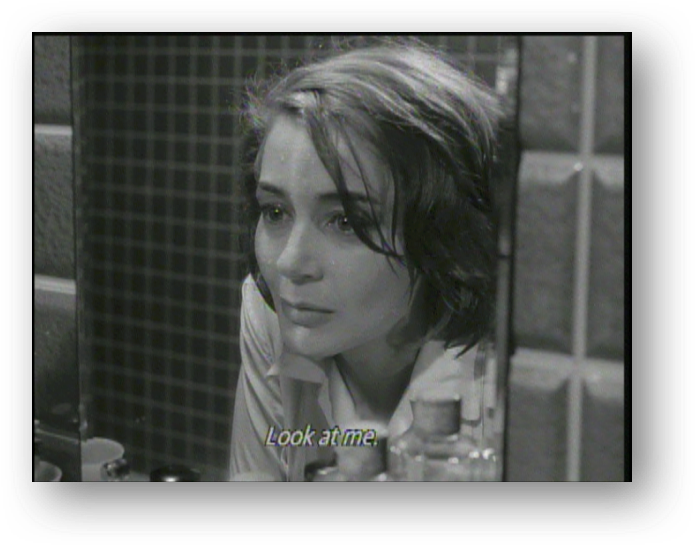 At last, at approximately 54 minutes into the film, the first frontal clear shot of Hoffman, a self-portrait, surfaces while several frontal shots of Marian repeat throughout. 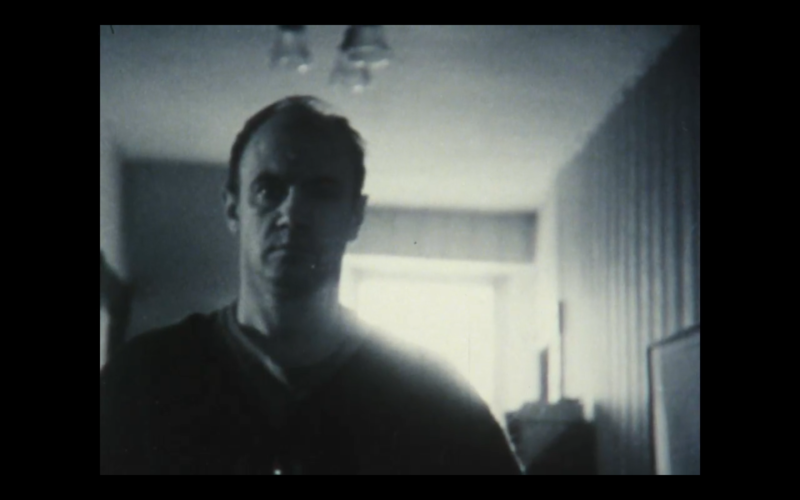 Of this sense of a self’s endless becoming in time, between moments and ever in flux, and this self-portrait, Bellour’s remarks, with regard to Philippe Lejeune’s thoughts on Raymond Depardon’s Les Années déclic (1983), are apropos: “it is more direct and more ‘real’ than a written narrative could ever be, with that face staring at you and saying, ‘I am me, and that used to be me’; on the other hand, this former self never seems to really join the self who is speaking to us”. If the journey of What These Ashes Wanted is to grant form to chaos, presence to absence, the task remains an impossibility. But by this final confrontation of the film’s, as expressed via a self-portrait seen against the sound of a film projector, we are reminded that this self and his image exist in time. In pursuit perhaps of a beloved other’s truth, he creates his own and releases hers to chance. “17’s the number … 1 + 7 is 8 … 7 is doing, 8 is infinity … 17’s the number. She was born on May 17 and died on November 17”. Not to suppress mourning (suffering) (the stupid notion that time will do away with such a thing) but to change it, transform it, to shift it from a static stage (stasis, obstruction, recurrences of the same thing) to a fluid state. Life … So long. What a long life. Imagining is, in effect, the ground of last resort. That is, should it happen that the world fails to provide an object, the imagination is there, almost on an emergency stand-by basis, as a last resource for the generation of objects. 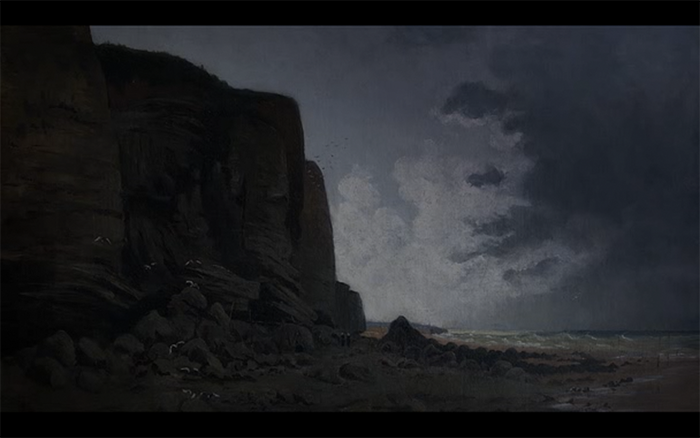 Following the ‘Opheliac’ discovery of the prologue and silent black of its title screens, Amour confronts its filmic audience with another audience. The film cuts to an interior shot within the main auditorium of the Théâtre des Champs-Élysées as audience members find their seats to directly face the fixed camera – and viewer’s gaze – situated ‘onstage’, as befits those with active roles to play. 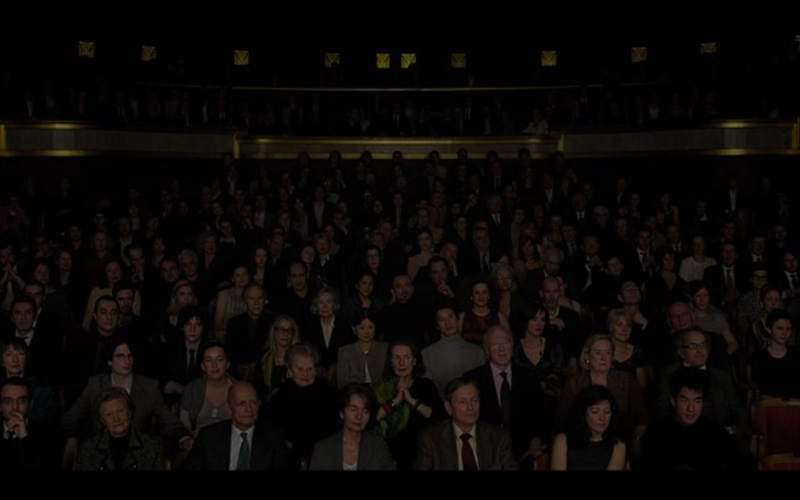 Anne and Georges are discernible in the audience. The auditorium’s lights dim as the stage lights begin to reflect from these gazes that face our own. Coughs of various audience members subside. Applause. Pause. The pianist hidden from the viewer’s gaze begins to play. An anticipatory hush remains as the music proceeds past what musician and music critic Frances Wilson describes as the opening “bare, arresting G octave” of Schubert’s Impromptu in C minor, Op. 90, D.899 No. 1. With the audience in the auditorium, we wait, listen, watch, unknowingly prefiguring means of response for the extended portraits of pain to follow. With increasing volume, the ominous progressions of the Impromptu’s theme bridge across a rapid montage of early moments, from the ‘facedown’ of filmic and profilmic audiences and the rapt attention the pianist claims, over a brief backstage post-performance congratulatory hello between the pianist, Anne and Georges, and, at last, to Anne and Georges’ bus ride home to their apartment. The music suspends ambiguously as the film cuts to the couple entering their home. As opposed to the film’s first shot of a fire brigade storming the bolted front door, Georges calmly opens this door and observes a “not very professional” burglary attempt. Anne relates a tale in which another apartment was burgled; the most valuable paintings were cut from their frames while the intruders disappeared without a trace. The couple nevertheless remain contented in their delight over the performance that Anne’s student offered that evening. When a film at once expresses experiences that are at once so vulnerable and frail as reassured and shockingly audacious, perhaps its name might only be ‘love’. I wish I could convey to you the simplicity – the lack of affectation – of this couple who had come to place an inscribed wooden slat in the cat cemetery so their cat Tora would be protected. No she wasn’t dead, only run away. But on the day of her death no one would know how to pray for her, how to intercede with death so that he would call her by her right name. So they had to come there, both of them, under the rain, to perform the rite that would repair the web of time where it had been broken. 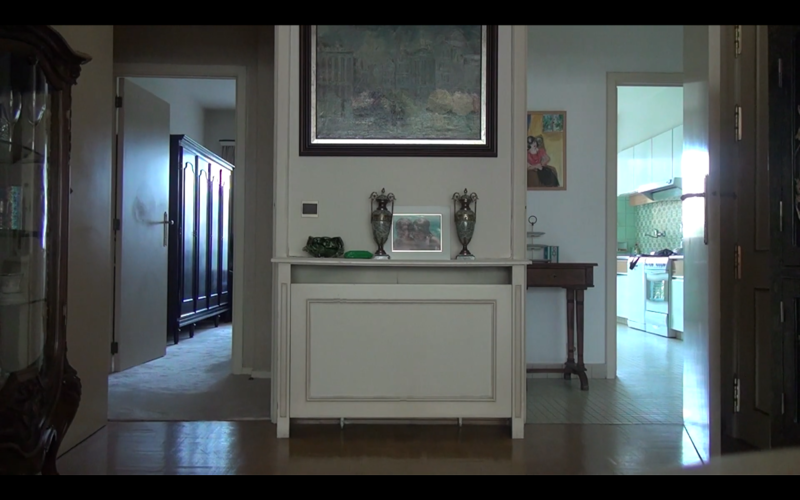 As in Akerman’s No Home Movie, Amour’s aesthetic of simplicity in composition and performance – the extended duration of takes, sparsity of close shots, framing of all shots, limited movements and cuts, vivid alternations between silence and repeated diegetic refrains – starkly exposes its characters and viewers to limits of existence rarely exposed in (narrative) film. Unlike the domestic spaces of No Home Movie and What These Ashes Wanted that recall, as do ‘autobiographical documentaries’, authentic, ‘real and true’ sources and stories, the theatricality of Amour assumes a steady modulating pace, as do narratives of suspense and violence of any kind. But the nakedness and simplicity revealed by all three films – that extend beyond conventional autobiographical documentary or domestic drama generic definition – allows quotidian life in its horrific and beautiful intensity to emerge. Amour need not, again, present the entirety or any of Anne and Georges’ prior existence. Inasmuch as Marguerite Duras writes in Hiroshima mon amour of “the stare of the cat-Riva” (so-named for Riva as ‘She’) and of how “[m]emory [lives] in these walls, one with the stone, the air, the earth”, memory lives also within these Parisian walls. The first time the hallway appears from a view nearest Anne and Georges’ bedroom occurs after the prologue and brief concert montage when the couple enters their apartment in a medium long/plan américain static shot. The camera remains fixed each time the hallway is seen from this view, as when other spaces of the apartment are seen. Shot scales alternate between long distances from the characters (as when Anne returns in her wheelchair) and point-of-view framings from medium and close range. In key montage moments, the apartment is vacant. The stasis of several apartment shots counters the prologue’s following shot as well as other exceptional moments of camera movement in the film, such as during Georges’ nightmare through a flooded hallway. The former instance, that trails the detective from the entrance directly to the sealed bedroom door, exists beyond the time of the couple. In all cases, as a character unto itself, the apartment sees. The “landscape sees”, Deleuze and Guattari insist with regard to the concept of a percept or a pre-individual seeing detached from any fixed subject, an anonymous nonhuman film-eye. 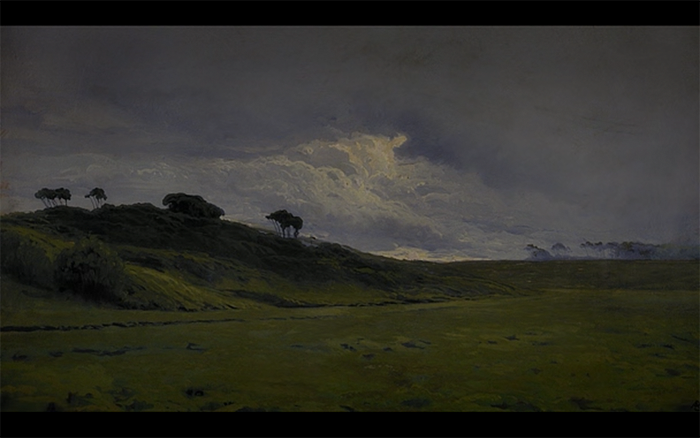 “The percept is the landscape before man, in the absence of man”. As if in response to Anne and Georges’ experiences, immediately following the sequence of Anne’s stroke and prior to her return home from hospital, half-paralysed, the film inserts another brief montage of five night and deeply shadowed, medium long shots: 1) hallway view from kitchen towards bedroom; 2) bedroom view towards the windows of the hallway; 3) living room shot with the chair and its pair where Georges often sits bottom screen right; 4) never used dining room seen only when Anne and Georges are absent; and 5) the kitchen, left assumedly ‘as is’ as Georges hastened to the hospital with Anne. Taken as if from the perspective of an intruder, or moreover the apartment itself, these views are seen against background street noise. In each of the five shots, frames appear within the camera’s own frame despite the low light; countless framed artworks are visible as are window, doorway and rectangular ‘frames’ within furniture frames. The notion of a frame, which again repeats the camera’s delimiting perception and the viewer’s own, underscores the eyes and landscapes of a world that perceive and are perceived. I don’t remember the film either. But I remember the emotions. As Anne grows weaker and frames of the home seemingly close-in on Anne and Georges – her wheelchair but fits through the passage from hallway to living room and spaces appear ever tighter as the couple adapt to Anne’s abilities and to the limits of the world between the two – the sense of an unseen but felt presence mounts. Intruding senses of judgement, well meaning, self-absorption and, at worst, cruelty and inhumanity find their ways into Anne and Georges’ home as the couple work to find each other and at last free themselves from the terror and pain that have nearly consumed their lives. With surmounting indignities, Anne’s disempowerment develops. A nurse bathes Anne and changes her diaper; in another moment, another nurse roughly brushes Anne’s hair and foists a mirror in her face. As the landscape painting above the couple’s bed also bears witness to this nurse’s ignorance, “Well?… What do we say to that? Aren’t we a pretty sight?”, the film recalls Riva’s forthright self-confrontation in Hiroshima mon amour that realised the younger woman’s break from oppressive distinctions that facilitated her public humiliation, and countless other public humiliations of women in wartime and post-war Europe. In the earlier film, the process of the woman’s self-dissolution pushes the woman to and beyond the limits of her identity as woman. In Amour, as Anne and Georges come to perceive both dangers and potentials of self-fracturing while their senses of pain mirror one another, there seems no means of escape except through complete self-abandonment. Driven by his love for Anne that is itself inseparable from a sense of a life and a peace that Anne deserves to claim, Georges exceeds himself … and releases Anne. 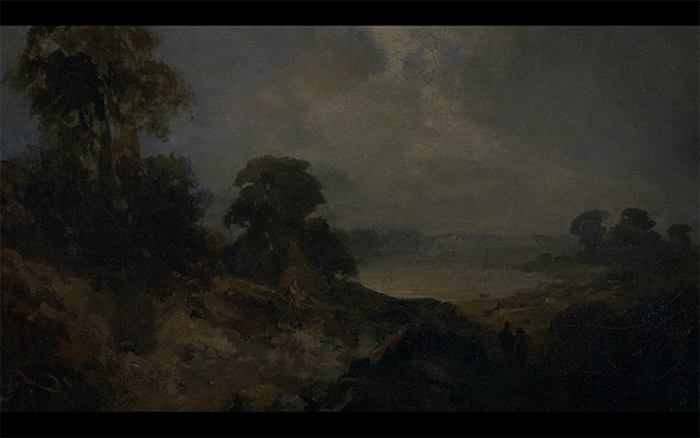 Throughout, the landscape paintings have waited, listened and watched. We go out with Akerman into the world only to look inward. We are beholding a world which has gone beneath the waves. You can again, as Hogg and Roberts state, read whatever you like into No Home Movie. But the film is not, as its title reiterates, a home movie. Temptation might be to also label the film autobiographical although it is much more than that, despite its materials of domestic borders and subjects filmed with Akerman-esque distant proximity and stasis, and interspersed with long takes of landscapes. What Akerman’s final film materialises is not only a portrait of the filmic medium and perception itself but also a portrayal of Akerman’s self in time, as in the spirit of Beckett’s Film. As also evidenced by Hoffman in What These Ashes Wanted and Riva in Amour, No Home Movie persists as a moving, ceaselessly questioning self-portrait of both medium and artist that captures fractions of the soundscapes and landscapes that comprise Akerman’s world. This is not (or no longer?) home but this is Akerman, the film, as conceived by Akerman. The publicity materials for Akerman’s installation claim that “Maniac Shadows brings a new complexity to Akerman’s forte, the portrayal of the disjunction between subjective voice and objective vision”. However, such tension was always already there in Akerman’s works that emanate from the deeply personal outwards, to worlds and its injustices Akerman captures, and back, to a world with its own pains and sufferings writ as large. The internalisation/externalisation process is there, forever entwined. From this perceptive doubling of artist and medium, we see ourselves seeing, other subjects and Akerman herself across several of her films, notably and lastly No Home Movie. Instead of ‘reading into’ the film, might we instead experience the encounter with such a portrait not as an enticement to know and claim but rather observe and listen with as much humility? See Nadine Boljkovac, Untimely Affects: Gilles Deleuze and an Ethics of Cinema (Edinburgh: Edinburgh University Press, 2015), pp. 146-151. See Jacques Derrida (trans. Pascale-Anne Brault and Michael Naas), Memoirs of the Blind: The Self-Portrait and Other Ruins (Chicago: The University of Chicago Press, 1993), pp. 44; 55. Philip Hoffman, What These Ashes Wanted script, 6 October 2001, http://philiphoffman.ca/what-these-ashes-wanted-script/ (last accessed: 17 May 2017). Cristina Álvarez López and Adrian Martin, “Chantal Akerman: A Primer”, Sight and Sound, Vol. 25 No. 2 (February 2015), http://www.bfi.org.uk/news-opinion/sight-sound-magazine/features/chantal-akerman-primer (last accessed: 19 February 2015). Ernest Legouvé (music Hector Berlioz), “La mort d’Ophélie” (“Ophelia’s Death”), Tristia, Op. 18, Movement 2. See also Graham Johnson and Richard Stokes, A French Song Companion (Oxford: Oxford University Press, 2000), p. 19. Raymond Bellour (trans. Allyn Hardyck), Between-the-Images (Zurich: JRP/Ringier, 2012), pp. 327, 334. Ibid., p. 335. See also Gilles Deleuze (trans. Paul Patton), Difference and Repetition (New York: Columbia University Press, 1994), p. 107 and Deleuze (trans. Hugh Tomlinson and Robert Galeta), Cinema 2: The Time-Image (Minneapolis: The University of Minnesota Press, 1989), Chapter 6. See Boljkovac, “Introduction” in Untimely Affects. Gilles Deleuze (trans. Daniel W. Smith and Michael A. Greco), Essays Critical and Clinical (Minneapolis: University of Minnesota Press, 1997), p. 24. See Boljkovac, Untimely Affects, p. 101. Deleuze, Essays Critical and Clinical, p. 25. Brenda Longfellow, “Philip Hoffman’s Camera Lucida” in Mike Hoolboom and Karyn Sandlos (eds), Landscape with Shipwreck: First Person Cinema and the Films of Philip Hoffman (Toronto: Images Festival of Independent Film and Video and Insomniac Press, 2001), p. 207. See Gilles Deleuze (trans. Mark Lester with Charles Stivale), The Logic of Sense (New York: Columbia University Press, 1990), p. 152. See also Maurice Blanchot (trans. Ann Smock), The Space of Literature (Lincoln: University of Nebraska Press, 1982), p. 155. Frances Wilson, “Traversing Schubert’s Opus 90 Impromptus”, The Cross-Eyed Pianist, 8 October 2011, https://crosseyedpianist.com/2011/10/08/traversing-schubert-opus-90-impromptus/ (last accessed: 17 November 2017). See Deleuze, The Logic of Sense. See Wilson, “Traversing Schubert’s Opus 90 Impromptus”. Elaine Scarry, The Body in Pain: The Making and Unmaking of the World (New York: Oxford University Press, 1985), p. 10. See Gilles Deleuze and Claire Parnet (trans. Hugh Tomlinson and Barbara Habberjam), Dialogues II (New York: Columbia University Press, 2002), p. 29. See also Deleuze (trans. Anne Boyman), Pure Immanence: Essays on a Life (New York: Zone Books, 2001), p. 29 and Boljkovac, “Signs Without Name” in Untimely Affects. Deleuze, Pure Immanence, p. 29. Marguerite Duras (trans. Richard Seaver), Hiroshima mon amour (New York: Grove Press, Inc., 1961) pp. 98; 96. Gilles Deleuze and Félix Guattari (trans. Hugh Tomlinson and Graham Burchell), What is Philosophy? (New York: Columbia University Press, 1994), p. 169. 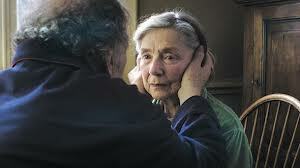 Michael Haneke, Amour (2012) screenplay https://www.sonyclassics.com/awards-information/amour_screenplay.pdf (accessed 1 May 2013). Deleuze and Guattari, What is Philosophy? p. 169. See Centre d’art contemporain de la Ferme du Buisson, “Chantal Akerman: Maniac Shadows Exhibition: Press Kit”, 19 November 2016 and Sunday 19 Feb 2017, http://lafermedubuisson.com/media/fdb/173818-press-kit_chantal-akerman_maniac-shadows.pdf (last accessed: 17 November 2016). See Boljkovac, Untimely Affects, p. 157. See also Deleuze, Difference and Repetition, pp. 89-90; 94. Many thanks to Saige Walton and Adrian Martin, who inspired some of my thinking on Amour and Hiroshima mon amour in 2013. Thanks also to Philip Hoffman for the exchanges we shared following a screening of What These Ashes Wanted in Brenda Longfellow’s seminar a few months after my Dad died (17 May 1945-30 April 2002). With love always to my Mom and Hanjo Berressem.